Great school boards drive student success. Houstonians for Great Public Schools promises to keep you up to date about what our policy experts and community leaders know about school board members and leadership. Our mission is to educate the public about what is expected of school board trustees and how effective those trustees are at improving outcomes for students. We then engage and support strong leaders for our kids. For us, an effective school board means that attention and resources are focused on kids first. By striving for good governance, we can ensure our limited school resources are spent efficiently and equitably with a focus on increasing student achievement and reaching higher levels of college and career readiness. Most importantly, we believe all children deserve strong, focused leadership, and we recognize that some schools will need more support. When we looked back at the 2016 board, we found that the trustees spent very little time on issues directly addressing student success. 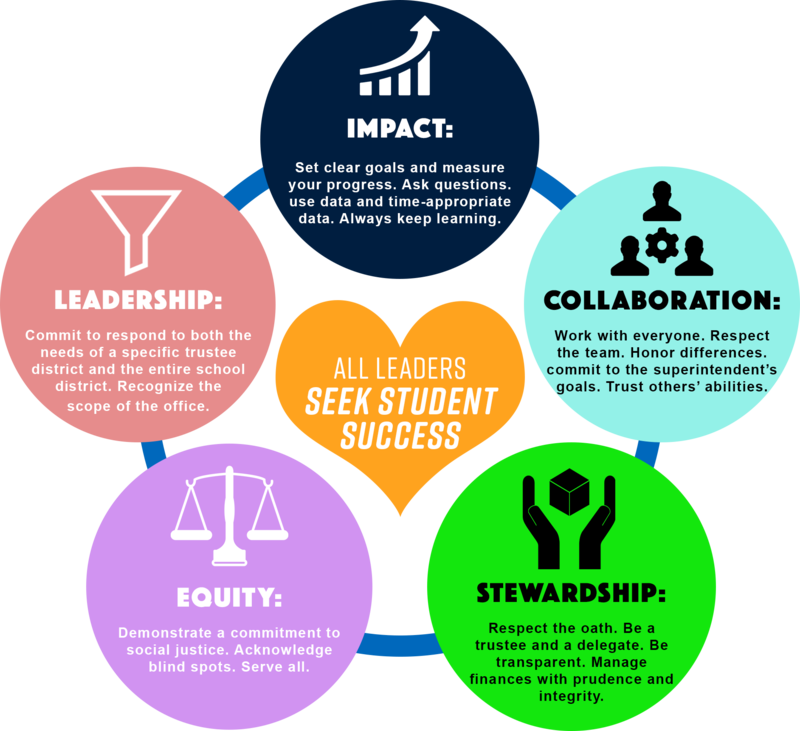 We defined discussion focused on “student success” as any conversation during a regular board meeting that directly impacts short-term and long-term student outcomes. This includes, but is not limited to, issues involving school improvement efforts, student performance, college/career readiness, student discipline, curriculum and instruction, and teacher evaluation. Out of the total meeting time of the 2016 board (2529 minutes), student success was covered for 366 minutes. That’s only 14% of the time the board met. There were only 2 board workshops for the entire year that were dedicated to topics related to student outcomes. A school board can’t help our students succeed if they barely address the issue. Houston has a proud, diverse heritage that is represented in our elected officials. Unfortunately, there were several issues in 2016 that fell along racial lines, and board members were not able to work together in a cordial, professional, and productive way. Board members were not able to unify behind student-centered, cost-effective and transparent policies to address these pressing issues. Sadly, this division demonstrates a lack of leadership for our community, our schools, and particularly for our kids. Despite the concerns from 2016, we want to acknowledge some of the positive steps the Board has taken over the last year. In August, trustees unanimously selected Richard Carranza to serve as Superintendent, and he has already outlined a bold vision for the district moving forward. We have also been happy to see a renewed focus on student outcomes both in monthly board meetings and in the board workshops scheduled for 2017. As the year continues, we hope to see trustees guiding, unifying and leading for the benefit of our kids. When our school boards are ineffective, our students are unsuccessful. That’s why we formed HoustonGPS. We will emphasize these leadership qualities and hold school board leaders to the oath they pledge upon winning an election to be honest and to work hard for the children of this city. Now is the time to ensure strong leadership at the board with a new superintendent and a focus on student success. We can do this together. Join us. Stay connected. Stay involved. Make your opinion matter. We just wanted to say another quick “Thank you!” for getting involved and supporting great public schools in Houston. Together, we can educate the public, make our school boards great and our students successful.